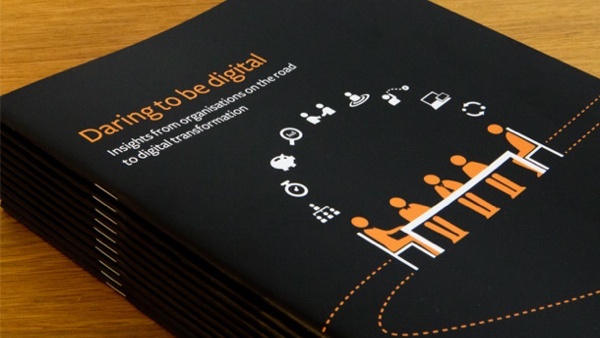 Any report with the words organisation, digital and transformation in the title is bound to get my attention. 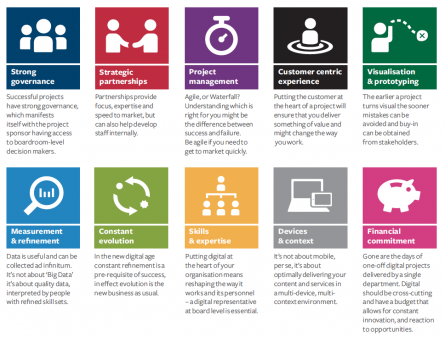 Being a long time advocate of wider organisational change to better support digital marketing I am endlessly fascinated about how to drive demonstrable change and how organisations can put digital at the heart of everything they do. 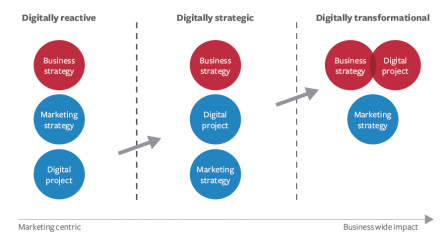 So, after a summer break to pursue my passion I reached for the Daring to be digital white paper produced by Precedent – insights from organisations on the road to digital transformation. Paul Hoskins, Chairman and Founder, points out how ‘Digital offers enormous opportunities to transform organisations, how they do business, where they do business and indeed what business they are in. That is why I believe that every organisation that wants to survive and thrive must have digital within its DNA’. I agree. Well worth a read – it’s a good ‘un. Of course, organisational digital transformation necessarily means that it impacts the whole business. Marketing people spend a lot of time talking about marketing and customer service but even marketing related activities impact on other areas of the business and you don’t have to spend too much time thinking just a little bit more broadly to really understand how digital can make a positive impact on areas such as Research and Development, Human Resources, Finance and Operations. Integration is everything these days. But to make an impact you have to get things done. With plenty of supporting case studies the report eludes to the following as being ’10 key enablers to getting things done’ – many of which you can initiate at the operational level or through pilot projects. Those pilot projects help build a business case for longer-term commitment. To deliver long term and demonstrable change those same things need to be supported from the top down and form a basis for discussion in the boardroom. There is only so much can be achieved without it. Sooner or later you need support from the top – or at very least someone championing your cause at the most senior level. From my experience and for what’s it worth I think the middle is where the magic happens – when drive and enthusiasm at the operational level meets clear strategic leadership. The point when well executed, sometimes below the radar, pilot projects that help build a business case meets clear, coherent and joined up strategic leadership. For me that often represents the starting point for building digital into an oranisations DNA. So, the big question is – where are you now? The Daring to be digital report provides a nice framework for assessing that – also worth a read. In order to be transformational, an organisation’s digital agenda must be owned in the boardroom as a fundamental part of the corporate vision and strategy. Only then does marketing strategy become complimentary and become integrated with the wider corporate vision.